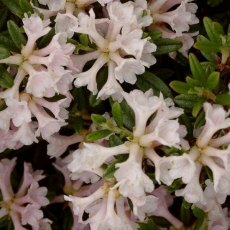 (H6) Light pink buds open to creamy-white long-lasting daphne-like flowers in May. 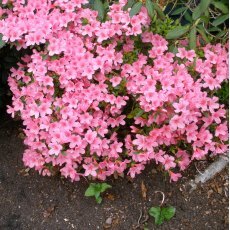 Tiny, narrow leaves on a dense, compact plant. 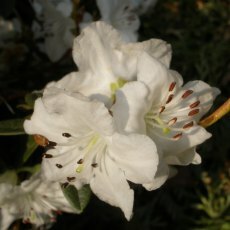 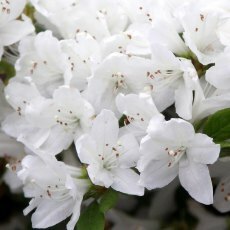 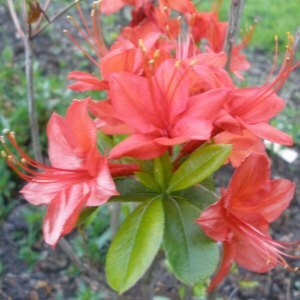 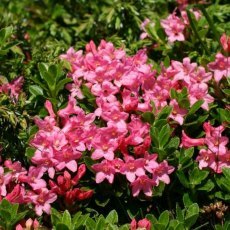 An easy and pleasing plant to grow, but avoid full sun. 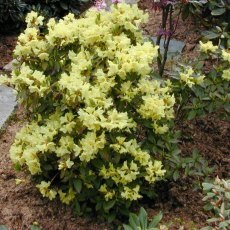 Height 30-50cm in 10 years. 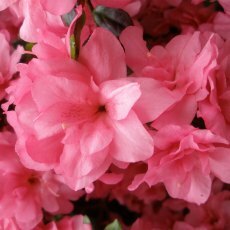 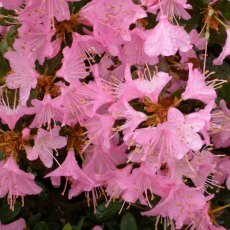 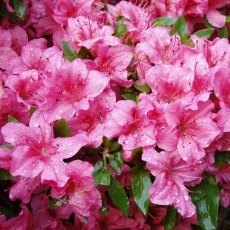 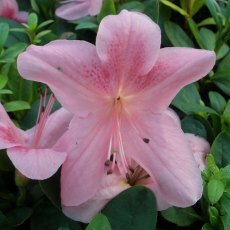 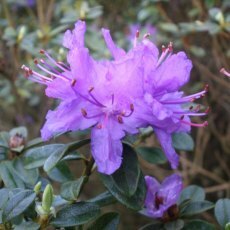 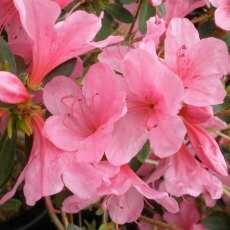 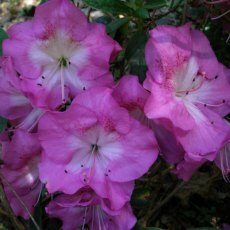 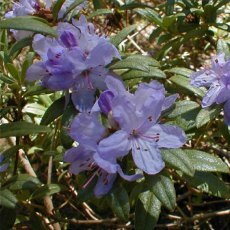 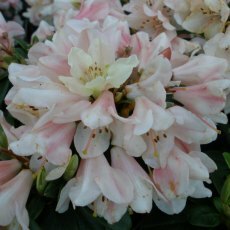 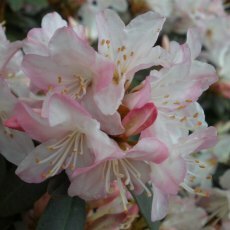 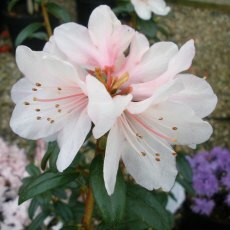 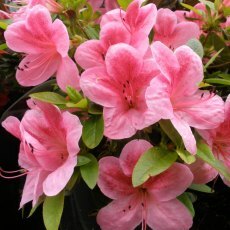 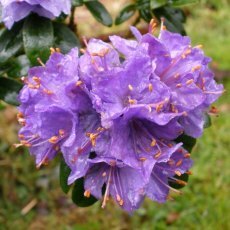 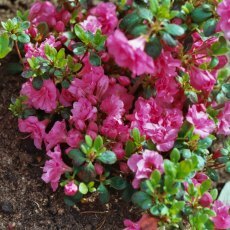 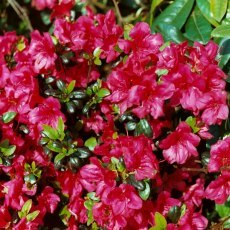 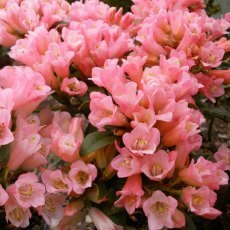 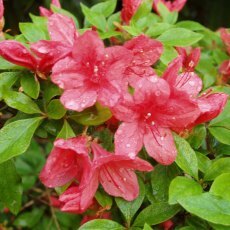 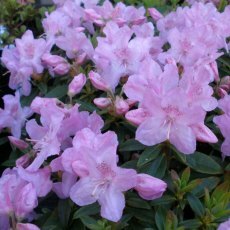 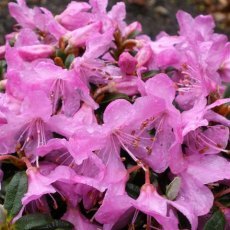 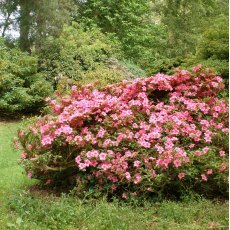 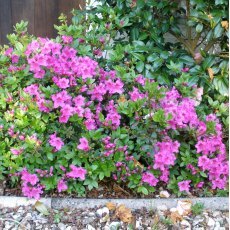 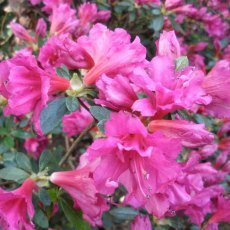 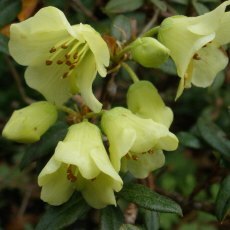 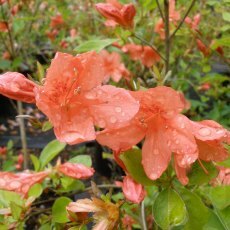 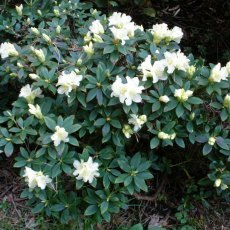 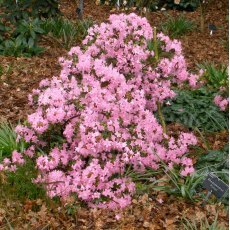 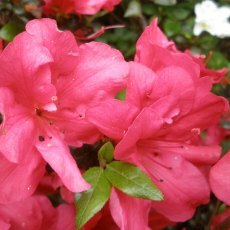 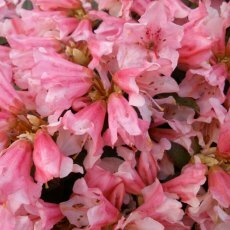 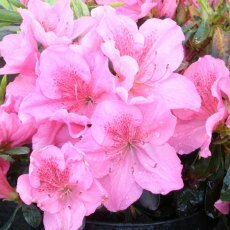 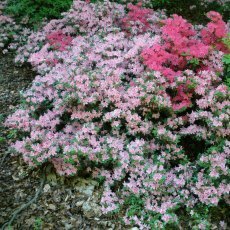 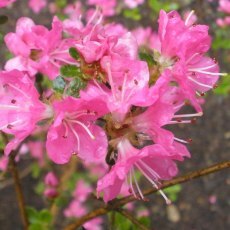 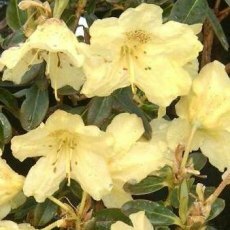 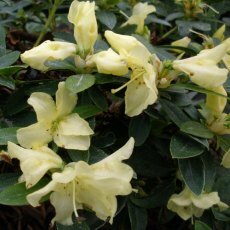 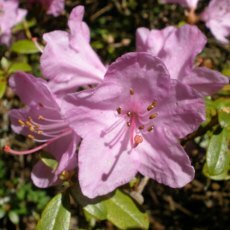 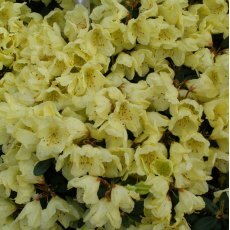 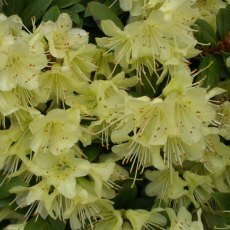 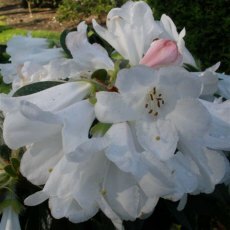 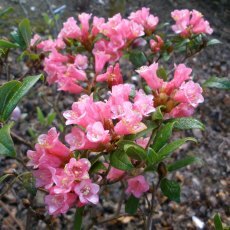 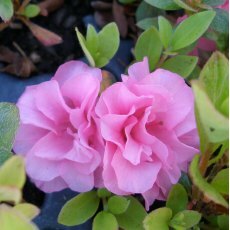 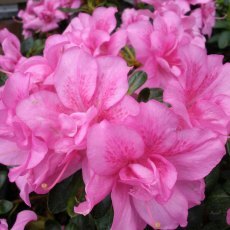 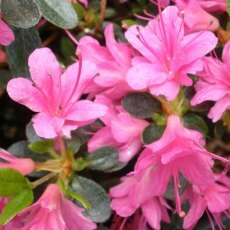 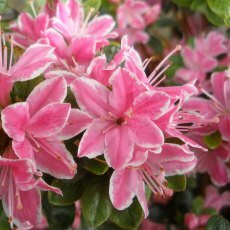 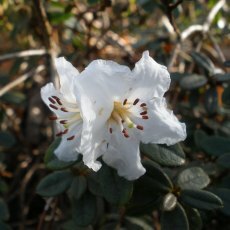 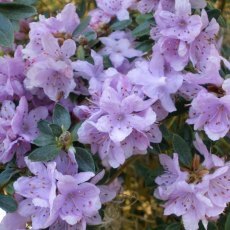 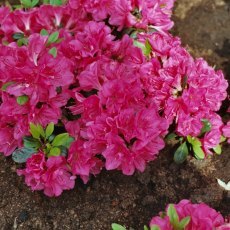 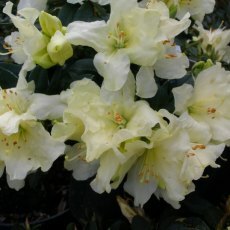 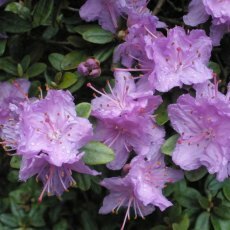 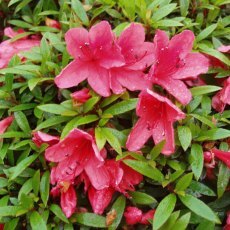 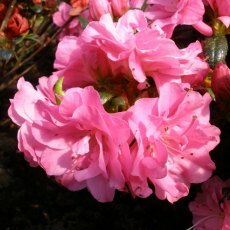 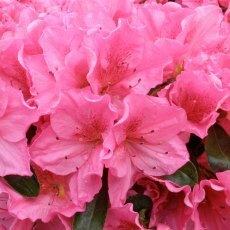 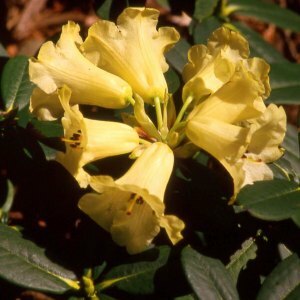 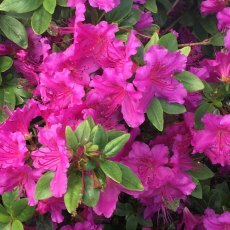 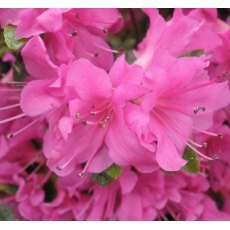 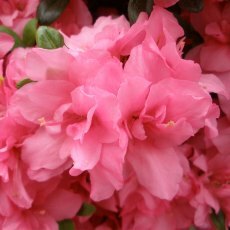 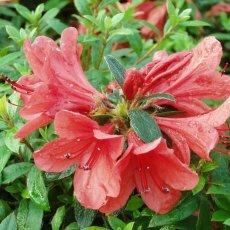 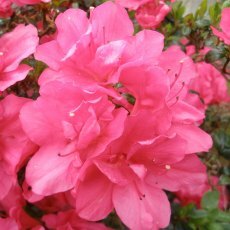 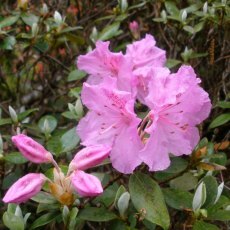 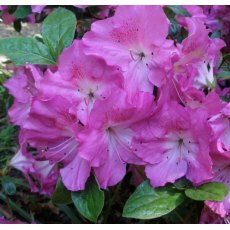 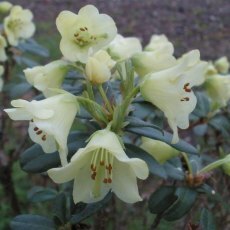 (H4) Funnel shaped yellowish pink flowers with slightly wavey-edged lobes, Flowers April-May. 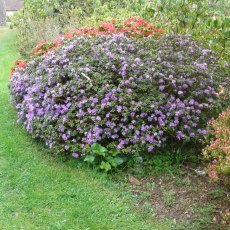 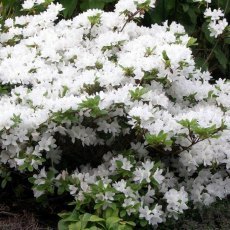 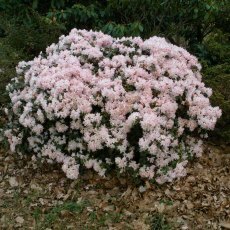 Upright dwarf shrub. 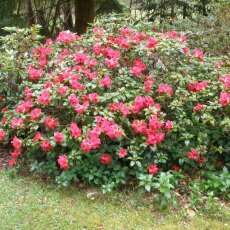 Height 100-125cm in 10 years. 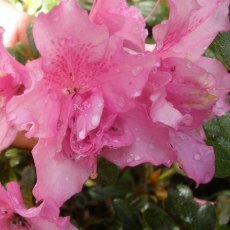 Requires moist acid soil. 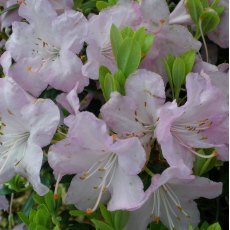 (H5) Mauve pink flowers with reddish spotting in May. 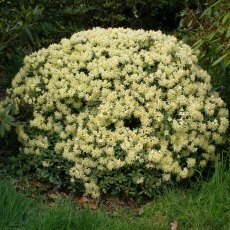 Dense and compact with hairy new growth. 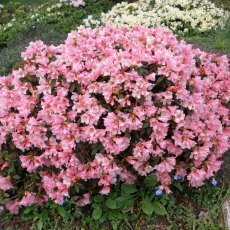 Height 50-75cm in 10 years. 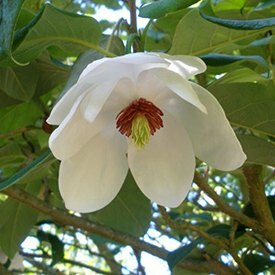 syn. 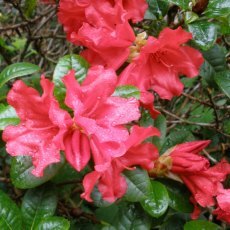 'Takako' and 'Geisha Lilarosa'.